What Is Literature? (Qu’est ce que la littérature?) 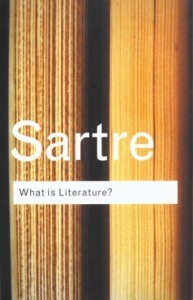 by Jean-Paul Sartre has also been published as Literature and Existentialism. It is a collection of freestanding essays originally published in the French literary journals Les Temps Modernes, Situations I and Situations II. Jean-Paul Sartre is best known as the French philosopher who played a key part in the schools of existentialism and phenomenology. It is sometimes forgotten that he was also a literary critic and a Marxist who was often vocal about the abuses of human rights by the Soviet Union. The reason I mention that Jean-Paul Sartre was a Marxist is because this plays a big part of What Is Literature? To understand his political standing is useful because it plays an important role in his literary criticism; Sartre was very vocal political, and though he embraced Marxism he never joined the communist party. While his literary criticism is always focused on Marxism, his schools of thought in philosophy are relevant, as well as his views on sociology and post-colonialism. 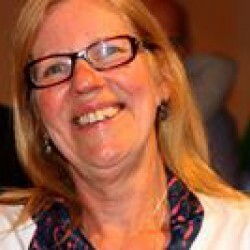 There are four essays found within What Is Literature? “What is Writing?”, “Why Write?”, “For Whom Does One Write?” and “Situation of the Writer in 1947”. “What is Writing?” is probably the most fascinating (for me, anyway) of the four essays, exploring the ideas of writing that distinguish it as an art form apart from poetry, painting and music. I found it interesting how Sartre has separated poetry and journalism out of his thoughts of writing to focus on literature as an art form. Whether you believe his idea of not, Jean-Paul Sartre will give you plenty of food for thought and I have to admit that a sufficient amount of it went over my head. Jean-Paul Sartre has spent a great deal of time thinking about literature and writing as an art and philosophical idea, more than I could ever imagine. Because of this, it can be difficult and as a reader I had to admit that I wouldn’t understand everything. What Is Literature? did however leave me with plenty to think about and offer me a fresh perspective and that is all I wanted from this book. Let’s face it, this is a pretty pretentious book to read but I still think it is worth exploring the ideas within What Is Literature?